From the very first time I attended a GC session 5 years ago in Atlanta Georgia, I knew I was bound to attend all forthcoming ones for as long as I was alive and kicking. Previously, I would follow the GC proceedings - which take place every 5 years - on TV. Having attended the session in person, I knew that a TV screen would never do it justice. The reunions, the general vibe, and just meeting new acquaintances is such a blessing. So as soon as I left Georgia in 2010, I started planning for the 2015 one in downtown San Antonio, . These sessions are held every 5 years and usually run for 10 days. Of course like every session, there is always a theme. The 2015 GC session theme was Arise! Shine! Jesus is Coming Again! 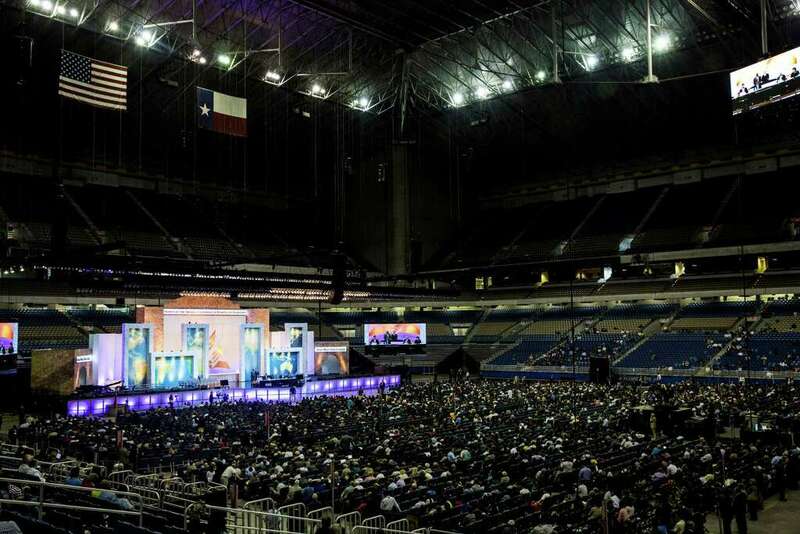 Church services and business meetings took place at the Alamodome while exhibitions of all things Adventist were hosted at the Convention Center . Everything worked wonderfully. Right from the arrivals at the San Antonio International Airport, we were greeted by a Mariachi band playing songs that we like. The bathrooms were always clean, had running water, always had tissue papers, and were more than enough - I don't remember queuing for more than 3 minutes at any one time. I you have been to Kenya you know why this is significant. I was especially awed by the stress free security procedures. The security officers did an amazing job. The process was fast, efficient, and hassle-free. The logistics of screening 65,000 people from across the globe is no small feat, bearing in mind the security situation in today's world. But they pulled it and I commend them 100%. A good change from the armed and uniformed officers I have to pass through every Sabbath morning as I walk into church back home in Nairobi. The seating arrangements were well thought out with large screens at every direction. The only challenge was with the seats at the very top of the center, especially if you have issues with height. Looking down feels like you're gonna drop down. But what awed me the most was the sound system. The best I have ever experienced. Kudos to y'all who made this event happen. Something else of note was that the restaurateurs in San Antonio took cognizance of the fact that most members of the SDA faith adhere to a vegetarian diet and abstain from the use of alcohol and caffeinated beverages. Where necessary, they adjusted their menus considerably and we were spoilt for choice. For accommodation, as expected, I went the AirBnB route and rented a house for the benefit of larger spaces and the ability to cook my own meals. Besides, there's just something about a home that a hotel cannot replicate. All in all, the event was a blessing and I look forward to the next one in Indianapolis come 2020 if our Lord Jesus Christ tarries. For anyone interested in being part of such a life changing event, start planning for your trip way way in advance of the session. This goes for accommodation, travel, annual leave, visas, etc. I have already started planning the logistics of my 2020 trip. It just makes everything much more bearable.